TPO No. 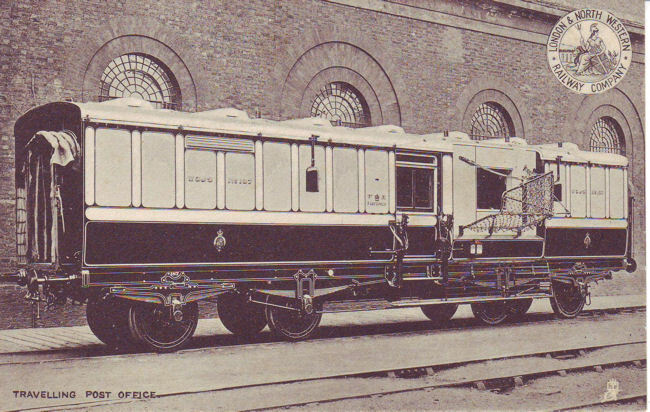 187, a vehicle used on the Travelling Post Office in Great Britain, (known at different times as the "West Coast Postal", "Limited Mail", and "Down Special TPO") that ran between London, Glasgow, and Aberdeen. Although the postcard was first published in 1905, the photographs had been taken in 1900, the year that No 187 was built at Wolverton. A similar Post office vehicle, WCJS Number 186, can be seen at the Railway Museum at York in UK. Interior of No. 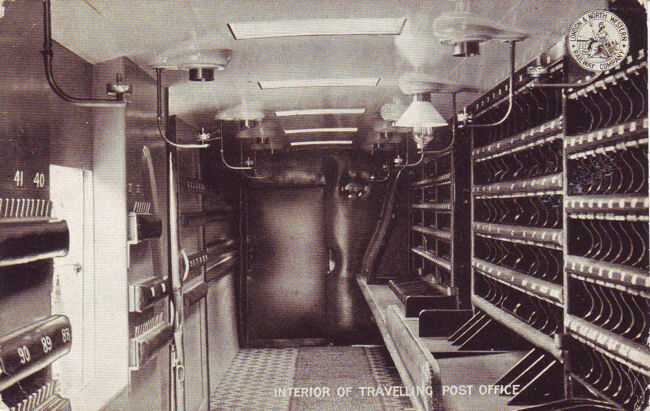 187, showing the "pigeon holes" into which the letters were sorted.